With every one getting engaged, growing up and taking on the corporate world like there’s no tomorrow, it’s no wonder the Coast has so many sweet event spaces for private hire on offer. We’re impressed with the diversity of the Gold Coast’s hosting spots and can’t get enough of fresh concepts like plant hire and styling help for unique events. But first, where should you host the big day, celebratory hurrah, milestone birthday or Christmas party? Luckily, we’ve got you sorted with all kinds of cool event spaces on the Gold Coast to consider when planning your next do. A coastal must-do for your next festivity, BSKT’s upstairs loft caters for both casual and formal private events. Overlooking the rolling waves of Nobby Beach, BSKT pairs rustic, organic menu items with a unique dining experience and an intimate ambience. 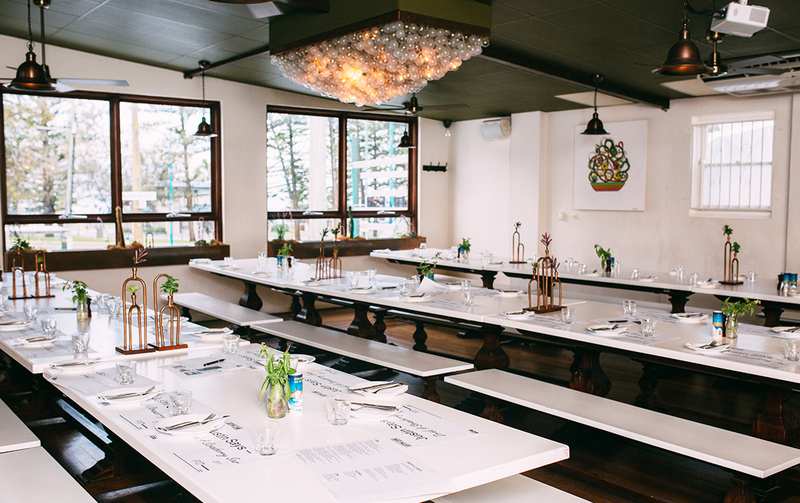 Suited to private functions, celebrations and corporate events, we suggest throwing a surprise boozy lunch here for your bestie and start planning. Wanna take your next event to a whole new level? Allowing Gold Coast’s green thumb design experts to style it for you, can save a whole bunch of time and leave you with a perfectly decorated space that even your imagination couldn’t have dreamed up. 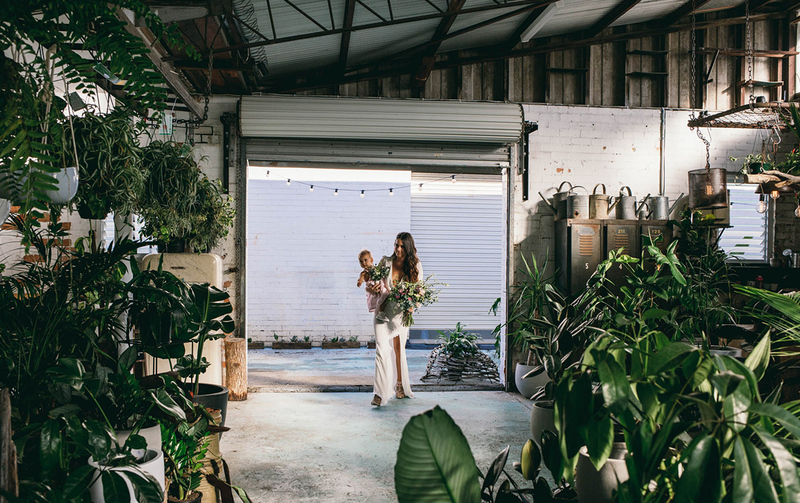 Situated at Mermaid Beach inside a rustic warehouse, The Borrowed Nursery supplies elaborate greenery, unique installations and intricate centrepieces for hire, to add the finishing touches to your wedding, bespoke function, photo shoot, commercial or residential event. Contact the lovely Lauren directly to explore a new world of green concepts for your next do. The industrial luxe Level 12 Penthouse at The Island caters to a wide range of events, from conferences and dinners to cocktail functions and weddings. Is there anything that we love more than a terrace bar? The only rival is probably a terrace bar with a retractable roof and complete glass panelling to admire those twinkling Surfers Paradise views from. And that’s where Level 12 steps up the game. Epic views from the terrace along with private adjoining function rooms, take your pick of where to gaze while indulging in dishes created by the in-house hotel chefs, then retreat to your suite at Surfers Paradise’s uber funky boutique accommodation. 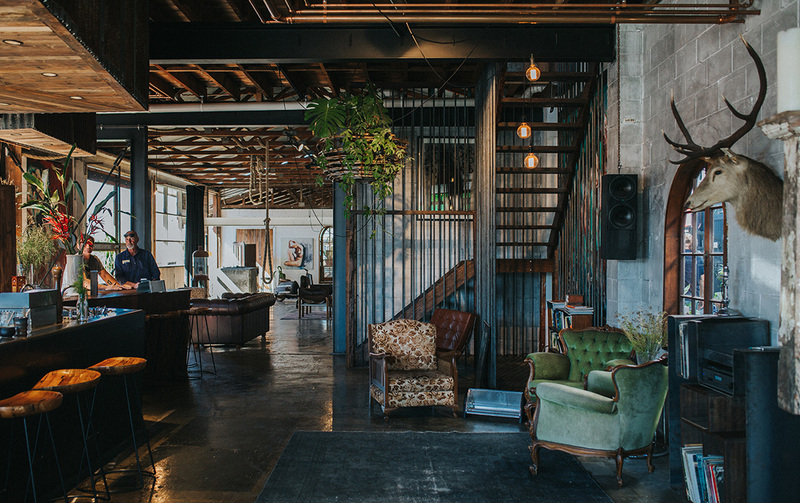 Space10 in Palm Beach hosts a whole range of events in their completely customisable venue. From networking brunches to craft classes, you can even tie the knot under a huge Figtree in their courtyard or hire their expansive whitewash hall with pendant lighting and hardwood floors for the big day. BYO caterers, tipple and make this event space entirely your own with styling and furniture hire packages on offer to make your next event one that will set tongues wagging. Centrally located just off the Gold Coast Highway, Space10 is close to some pretty special seaside spots, making it perfect for progressive events on the Gold Coast. Intimate gatherings and jam packed event pandering is what Helensvale’s NightQuarter VIP area is all about. A maze of culture, cuisine and cosy hideaways, these guys have a whole range of packages suited to basically any event. Birthday parties, album launches and memorable bashes? No wokkas! NightQuarter’s upstairs VIP deck, overlooking The Paddock, is suited to any size event, celebration or social flock. Time it right, and you’ll also have best seats in the house for a fab live music event. The alleyway dining experience of Justin Lane has expanded over time. 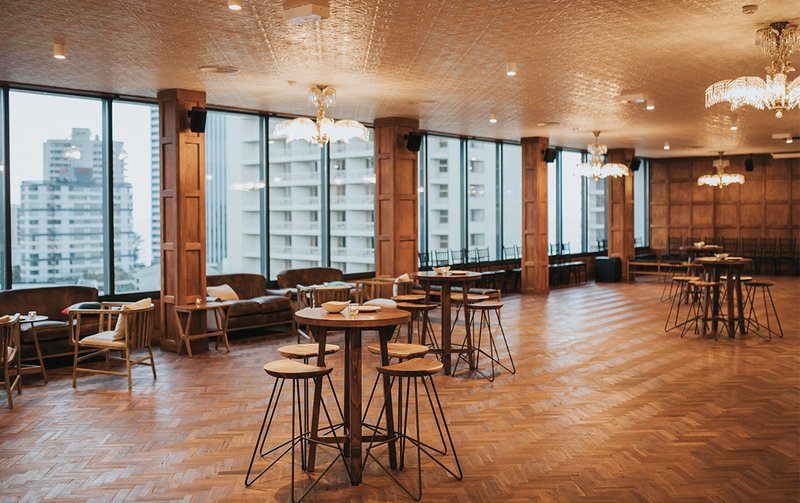 Stretching inside, upstairs and sprawling out onto their infamous rooftop, Justin Lane also boasts an entire room dedicated to catering for your next function. Rows of stone top tables and bench seating fill the dimly lit space, acting as the canvas for your lunch or evening function. A banquet of bites, wood fired pizzas and salads cater for any occasion and, we’re warning you now, you’ll definitely have left overs! Similarly, you can hire out the rooftop for you and your pals to party on under the stars. Either space is perfect for unique engagement celebrations, wedding receptions or your next fandangle birthday. 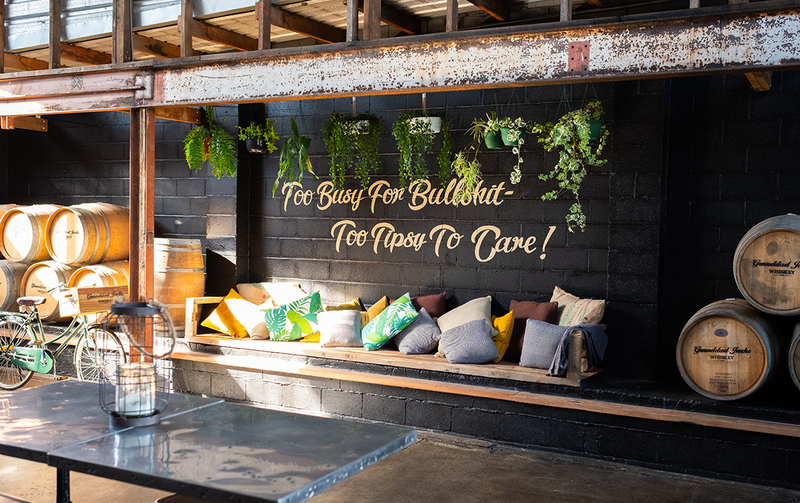 The creative tribe behind the glorious Taverna and Osteria (our favourite high class boozy hangouts in Kingscliff and Casuarina), Lia, Mark and Lee have delivered another incredible event space for hire to the southern scene. Ancora’s waterfront location on the Tweed Coast is suited to unique events and couples looking for a one-of-a-kind wedding space with a Mediterranean vibe. Inspired by owners Lia and Mark’s Greek Island engagement, a coastal luxe feel weaves it’s way through Ancora’s eloquently designed interiors, fit with whitewashed walls and a suspended medley of fern adornments and rustic cane drop lights hung above tables. If you’ve experienced the authentic Greek-inspired dishes created by Lia on offer at Taverna, you can be prepared for a similar level of deliciousness at Ancora. This rad space is serving up chic loft vibes with exposed brick walls, arched ceilings, lush hanging greenery, recycled wood and steel beams. And, we have to give a shout out to the epic concrete slab bar—it’s just begging for you to pull up a stool and settle in for the night. Granddad Jacks's can be rented out for events of up to 100 people, also has a slick barber shop and uber cool barrel room. Plus it’s the perfect spot for some live music should you want to take your shindig to the next level. Come for their amazing gins (65 Miles, Two Pencils and The Greenhouse) and stay for the awesome vibes. Even better? It’s BYO food. Are you a total chiller? 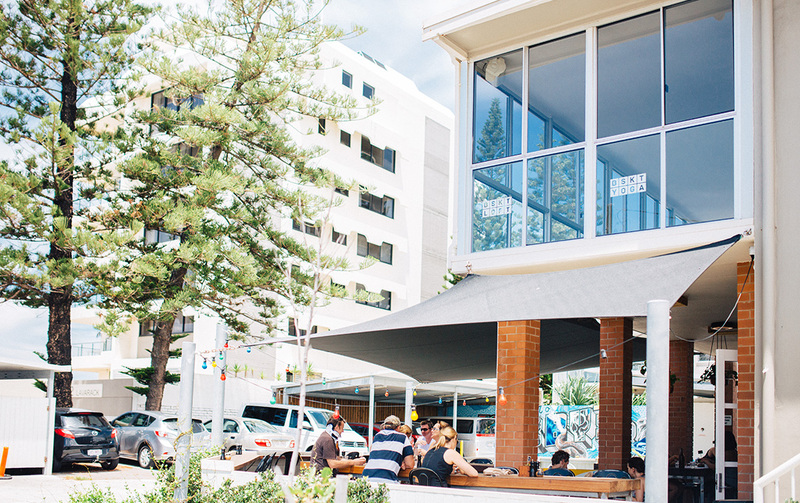 Then The Alley Bar at Coolangatta Sands could be just what you’re after. The Alley Bar’s sky high murals and cool open air fit out sets the scene, while fairy lights twinkle overhead. Get stuck into your private stand alone bar and a selection of craft beers, wine, and spirits while wandering between friends at your next birthday, engagement party, or long lost friendship reunion (if you have like, 50 long lost friends). This Nobby Beach feasting slice of heaven is more than smooth AF cocktails, perfectly balanced citrusy sweet ceviche and fall-off-the-bone ribs—a modern take on Latin American BBQ is Firecue’s jam. And now, Head Chef and owner Adam Dundas-Taylor is opening the doors to his upstairs function room for cosy groove-fests. Dark walls, candle light and a Cuban vibe, there’s even a spot to squeeze a muso in the corner. Cue Barrio is perfect for groups over 10 looking to indulge in delicious eats, guzzle-worthy drinks and to generally run amok. the ceiling is covered in huge 8 by 5m canvases featuring beautiful tarot cards and is perfect for a special birthday or even a wedding. And given their location, you’re going to be spoilt for choice when it comes to food options. Food trucks are the new fine dining. Home to several unique spaces, Miami Marketta has ample hosting options for your next corporate event, exhibition, product launch, fundraiser, offsite dinner or even one-of-a-kind wedding. You and 50 to 900 guests will enjoy the vastness of Marketta and all of its magical fabness! With a selection of musical acts and food vendors on their books, fully stocked cocktail, craft beer and wine bars, Marketta’s experienced event planners are raring to go and wanna help with your next big hurrah! When cocktails are a high priority on your private event agenda, there's no way you can pass up an intimate night at Mermaid Beach's hole in the wall swillery—BonBon Bar. Packed to the rafters with drool-worthy tacos and interesting cocktails like flamed Kraken rum, cinnamon and star anise, all topped off with orange peel, you really can't go wrong. Did we mention they also stock 100 tequilas and mezcals? Your boozy girls night, birthday or celebration will be seriously pumping at BonBon. Cue the shot count down! This Currumbin drinking hole exudes charm and buckets full of charisma. Balter HQ offers packages and private spaces suited to large and small groups, so your next laid-back event is set to a tee. 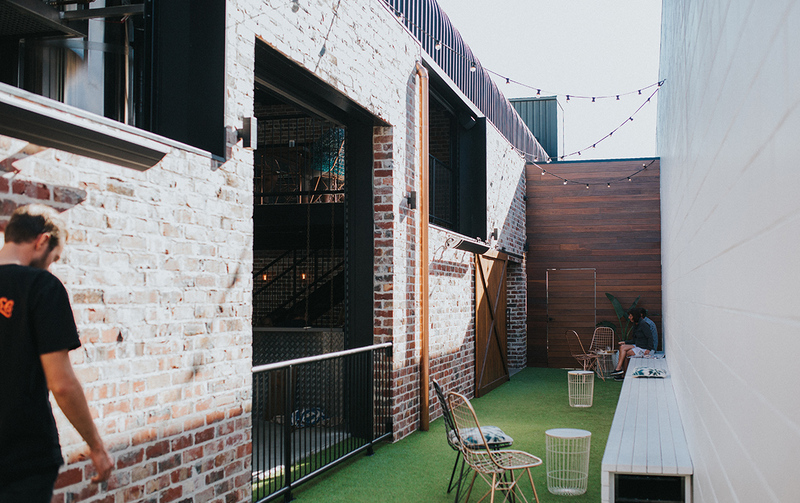 High ceilings and exposed brick backdrops, or outdoor alleyway options, pumping tunes and delicious food truck eats make this one of the best event spaces on the Gold Coast. Flowing beer is included in your package naturally, so give the guys at Balter a call and turn your next soirée into a long boozy afternoon that no one’s likely to forget. Rich with historical charm, this old school venue (and actual previous school) is an absolute killer! Hosting a range of spaces to suit artsy activities, corporate meetings, exercise classes and more, sprawl out on Kirra Hill Hall’s rolling greens and take in the ridiculously lush views of our southern beaches. Kitchen and centre facilities such as tables, chairs and appliances will make planning your next DIY event that much easier. Kirra Hall is also a wedding venue favourite for locals looking for an affordable outdoor option without the sand in their shoes, so definitely have a look if you’re planning on tying the knot. This long time artsy Currumbin favourite are broadening their creative horizons with multiple private function areas and an in house kitchen in the works. Sundrenched windows framing your private event and urban jungle alleyways on either side of your step are always going to lead to a fairytale ending at Dust Temple. Planning a wedding? You’ll wanna check out these gorgeous local options on the Gold Coast and in Northern NSW.